Gebser, Jean, The Ever-Present Origin (N. Barstow with A. Mickunas, Trans. ), 1985, Athens, OH: Ohio University Press. When you are ready to dive deep into a multi-cultural, multi-millennia, aperspectival exploration of the three levels of perceived reality, as described in ecosynomic terms as possibility, development, outcomes or light, verb, and noun, I invite you to plunge yourself into the world of Jean Gebser. A philosopher who lived from 1905 to 1973 in Europe, in this book Gebser provides a very rich developmental picture of human consciousness. This book is so dense with images, examples, etymologies, and explorations of what it means to be human and the evolution of human awareness that I was rarely able to read more than 2-3 pages in a sitting. This is probably one of the five most dog-eared and underlined books I have: a reference book that I will have to come back to for many years to come. Too much to ingest the first time around. While there are many layers of Gebser’s exploration, I will share here glimpses of his descriptions of the human experience of the three levels of perceived reality in ecosynomics. This is like the 30-second movie trailer that I hope will excite you to see the full 2-hour movie. It is worth the effort. In brief, as my colleagues and I have surveyed people in 94 countries and met with them in a dozen countries over the past decade, we find that people describe their experiences through three different levels of perceived reality. There is the outcome level of material things, the nouns. There is the development level of building capacities and relationships, of connecting systems, over time, the verbs. And, there is the possibility level of potential, of brilliance that is yet to manifest, the light. In this book, Gebser describes each of these levels in great detail, with examples across many cultures and millennia. I share a sample of these observations. 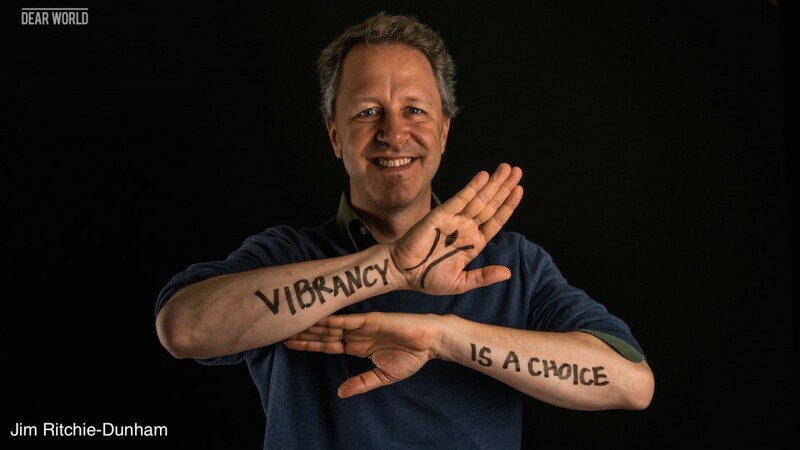 Vibrancy is a choice. “Diaphaneity..is..to render transparent our own origin, our entire human past, as well as the present, which already contains the future” (6-7). The task is to render transparent what is already here, and not yet visible. This is the purpose of the Agreements Evidence Maps, to see (render transparent) the underlying agreements that shape our experience and outcomes. “It transforms space-timelessness into space-time-freedoms, permitting the mutation from an unconscious openness to a conscious openness, whose essence is not ‘being in’ or ‘being in opposition to’ but diaphaneity” (436). Outcome (noun) level of reality. “This point-like unity…In the spaceless and timeless world, this constitutes a working unity which operates without a causal nexus…Only in a spaceless, timeless world is the point-related unity a working reality…Because of this spaceless-timeless unity, every ‘point’ (a thing, event, or action) can be interchanged with another ‘point,’ independently of time and place..and of any rational causal connection….Nevertheless, precisely this fact clearly reveals the contradiction in the unity concept, namely, the unconscious discrepancy between the parts (i.e., the points) and the actual unity. Here man, or a human group, is the protagonist, even though this is extremely well concealed. Although man fits in and merges with the event, this very merger and fusion give the event a definite direction” (48-49). Development (verb) level of reality. “‘Structure’ is understood as an expression of the potential, the possible. As Triptych points out, ‘Structures determine not merely the singular realization, as do formations, but various possibilities of any realization. Today we are interested precisely in the possible, the virtually [and potentially] present, and not merely in the temporally-bound, signal event’… The concept of structure..receives..the qualitative emphasis for sociology which allows space-time-free origin to shine through the qualitative potentiality” (429). Possibility (light) level of reality. “‘Possibility’ is a potency or a latent intensity, and therefore a quality…a qualitative character in contrast to the spatial emphasis, measurability, and basically quantitative aspects of three-dimensionality…(like) the ultimate consequences of the nature of the electron–one of the elementary particles which are the building blocks of our world and of the universe–indicate that it is without substance. This means that it is a transparent structure…This de-substantialization ultimately changes the non-visual nature of even the ‘material’ realm into transparency or diaphaneity” (378). As Gebser describes in great detail, the point is to acknowledge and transcend the apparent boundaries amongst the three levels of perceived reality, what I have referred to as the grounded potential path — “‘The hidden or the possible of the future’ is valued as present in the supersession of the ‘mere now,’ the qualitative moment” (429). While it is a difficult read, like carefully laying the foundation for your home, it is well worth the effort on which you can build an aperspectival reality.